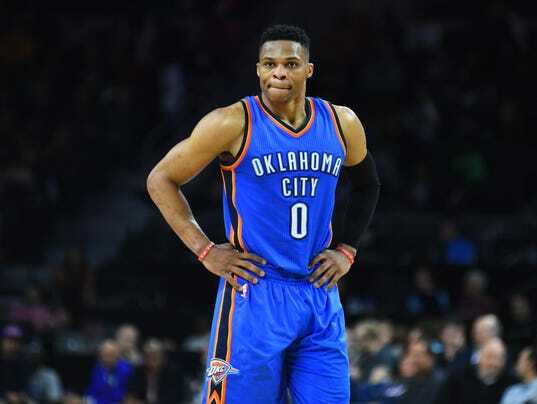 Russell Westbrook’s agent and the Oklahoma City Thunder are in serious talks about a contract renegotiation that could keep the All-NBA point guard with the team through the 2018-19 season, according to a report from The Vertical. According to the report, which cited league sources, the renegotiation would be for a three-year, $85 million-plus maximum contract, and would include a player option for the third year. ESPN reported that the two sides had agreed to the deal. If an agreement isn’t reached, Westbrook, a 27-year-old five-time All-Star, will become an unrestricted free agent next summer, setting the Thunder up for another offseason heartbreak just a year after losing Kevin Durant to the Golden State Warriors. Last season, Westbrook averaged 23.5 points, 10.4 assists and 7.8 rebounds, led the league with 18 triple-doubles and finished fourth in the MVP race.